The Filling Station is a bespoke HTML5 game created to promote the Nurishment Food Brand. In this endless runner, you will guide a can of Nurishment milk drink across the conveyor belts. Along the way, you need to collect vitamins to earn more points, while avoiding the pitfalls and obstacles scattered on each level. 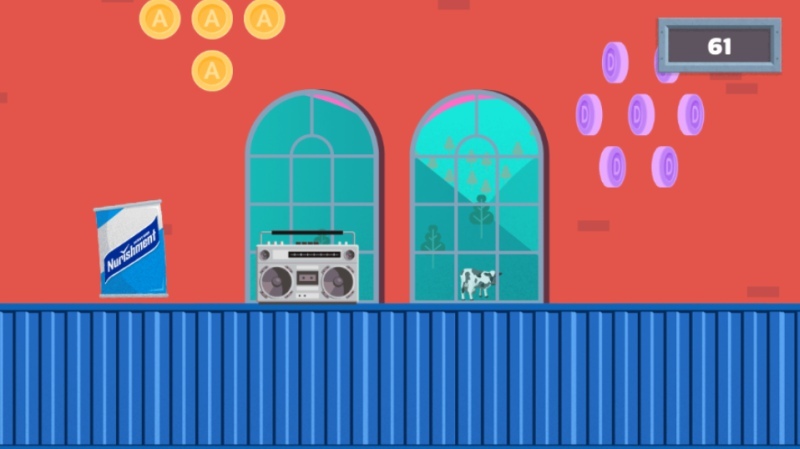 This bespoke HTML5 game for food and beverage is part of the Nurrishment #oldskoolnewcool campaign.With the game’s retro vibe, the company wants the milk drink to be a classic favorite loved by every generation. Check out the Capital Conga game here.